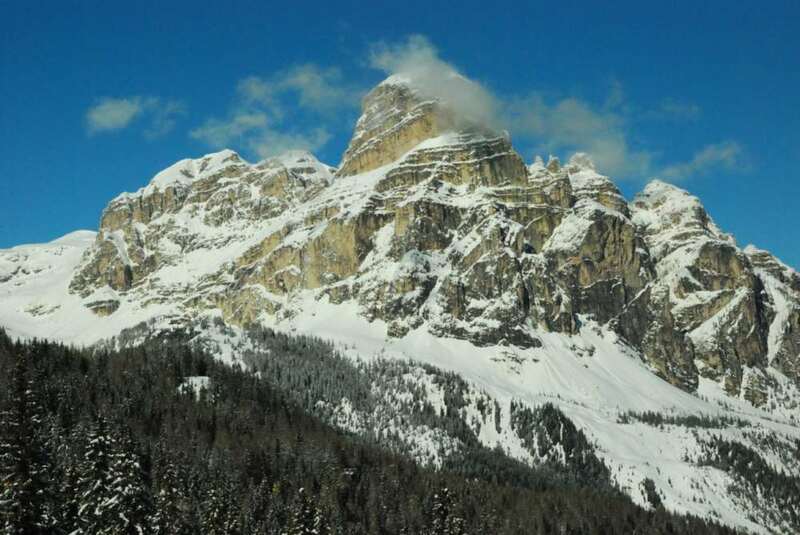 What to say about Dolomites? They simply are enchanted mountains, extraordinarily beautiful! Grandiose peaks soar skywards, sometimes almost vertically, and their reddish-purple rock produces variety of shades of pink and flaming red, especially at first light and dusk. Those of you who follow this blog (thanks!) already know that I’m a Ski Fanatic. But I’m also crazy about nature and beautiful landscapes. 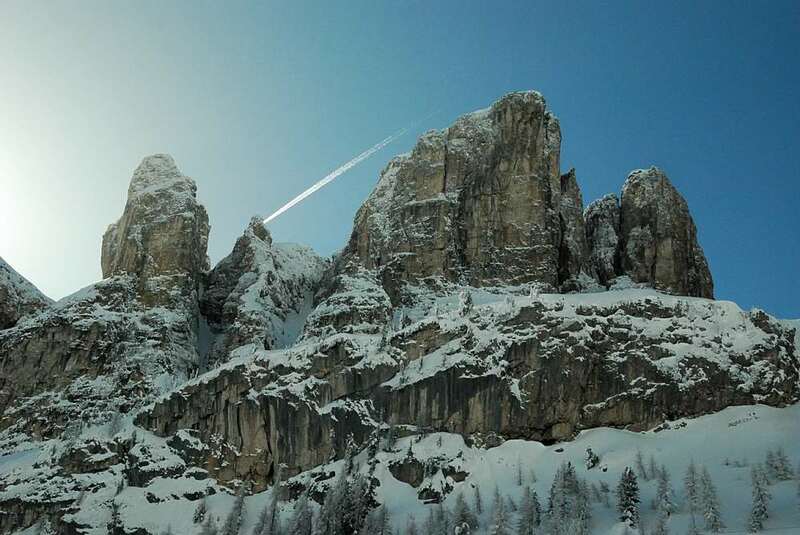 So in this post I’m going to merge these two passions and to talk about the Dolomites, arguably the most beautiful mountains of Europe, and the most amazing ski itinerary you can stumble upon: the Sella Ronda. 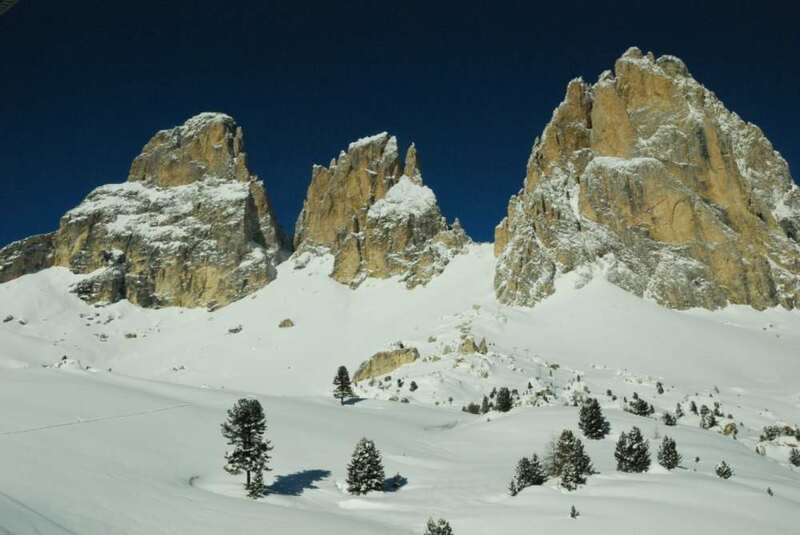 From a skiing point of view, well, Dolomites are simply the world’s biggest sky network, with over 1200 Km of slopes (the “Dolomiti Superski” area). 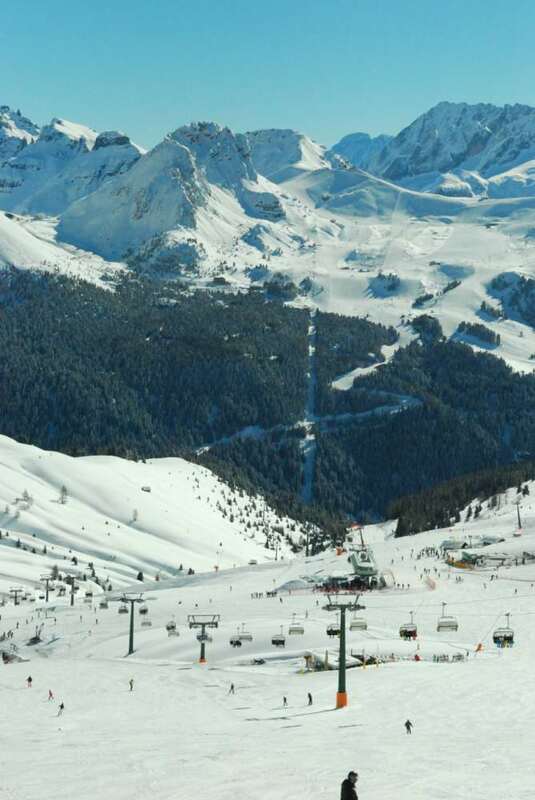 Among this network, Sella Ronda is the most recognized and worldwide famous ski route. 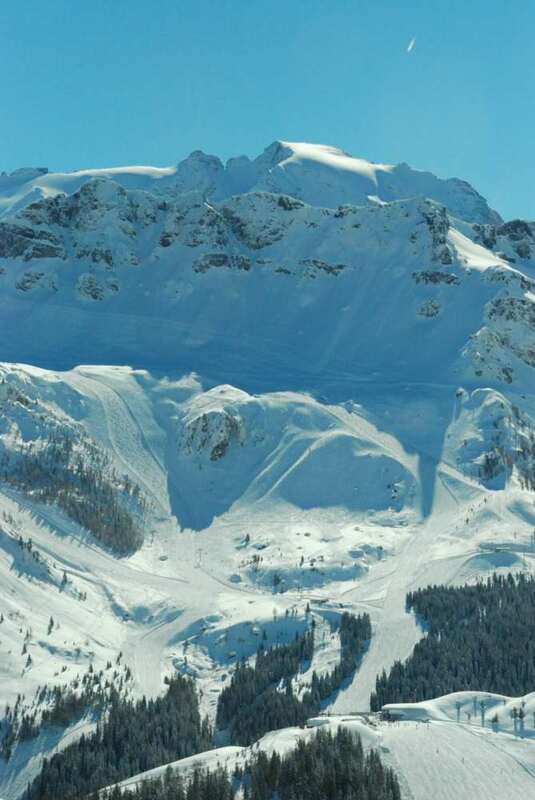 Indeed, this ski itinerary is unique. 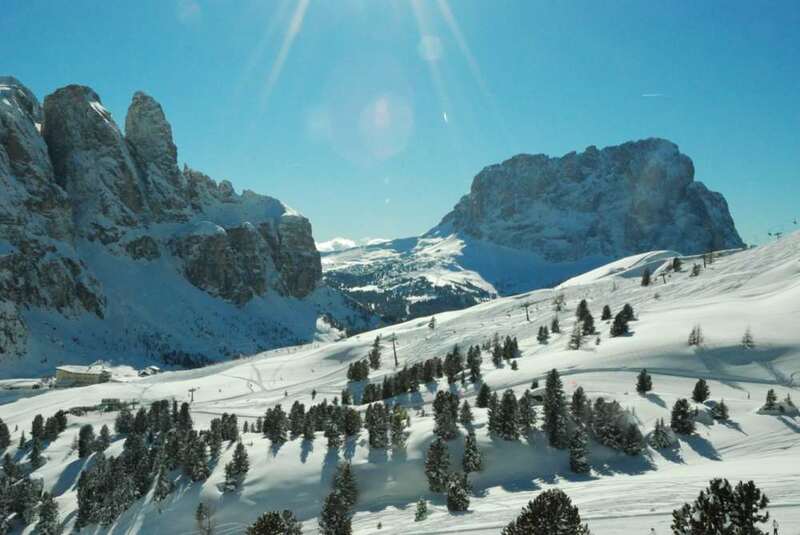 The Sellaronda allows you to ski around the imposing Sella Group, in a loop covering four passes (Gardena, Sella, Pordoi, Campolongo): this means over 40 Km round trip, 26 km of slopes, 4 valleys and three provinces with one single skipass! 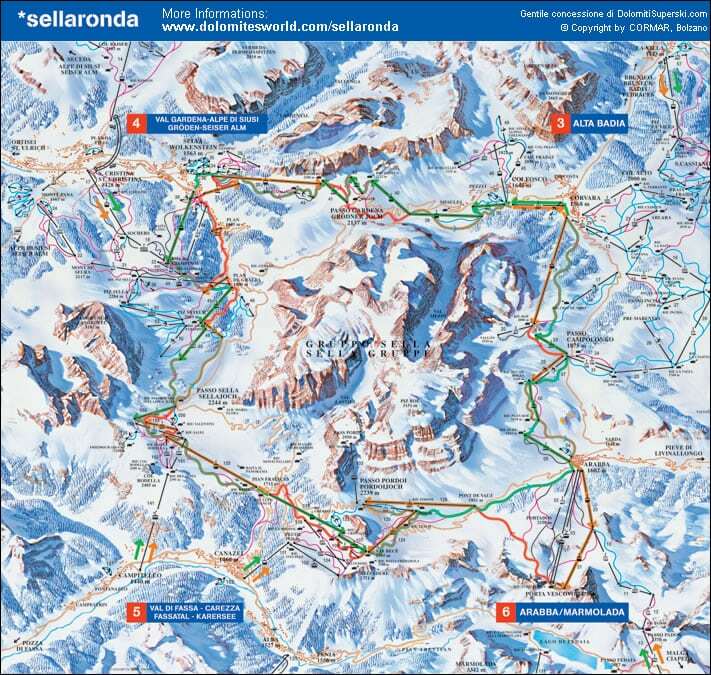 You can actually choose to make the itinerary either clockwise or counter clockwise: the SellaRonda is accessible in both directions! In this post I’ll share with you a quick “reportage” of the Green Route (Sella Ronda counter clockwise). 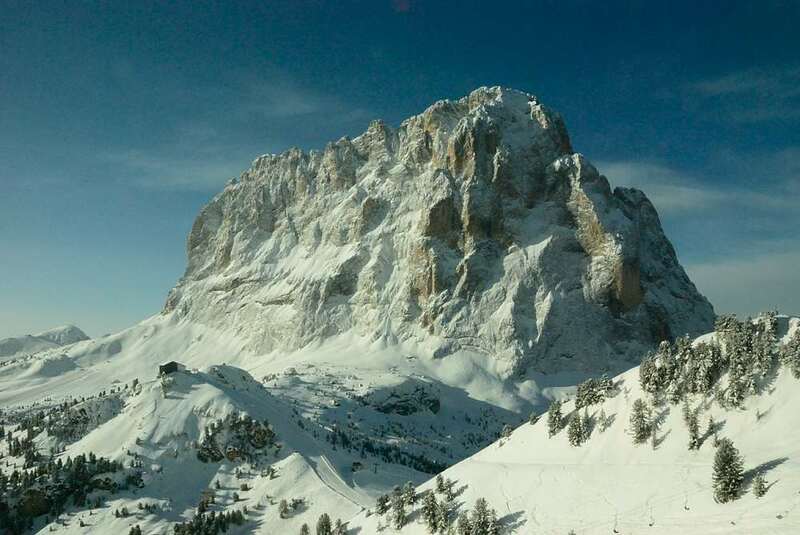 Let’s start from Selva di Val Gardena, where you will take the Ciampinoi Cable Car up to the Top of Plan de la Gralba. In front of you the Sasso Lungo, one of Dolomites land marks, so close to give the illusion you could touch it with your hand. 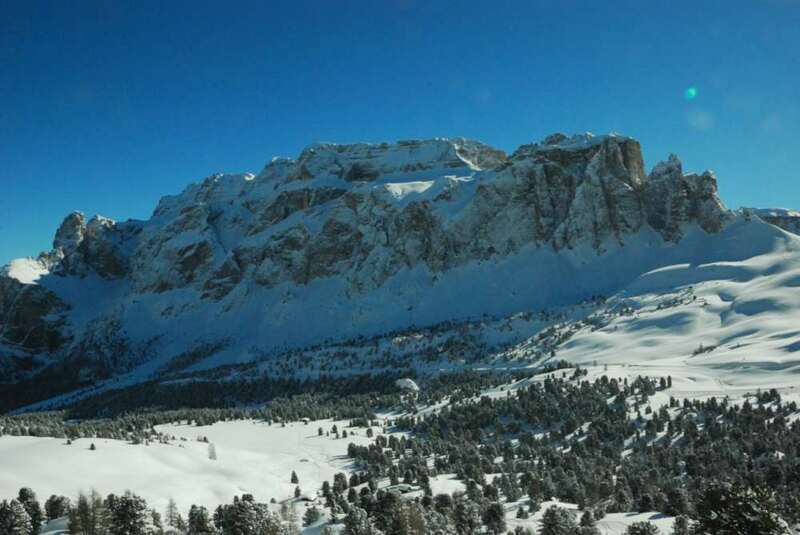 From Plan de la Gralba you will then pass through the well-known “boulder city” to get to Sella Pass, followed by a short decent to Col Rodella which offers a spectacular view of Val di Fassa. 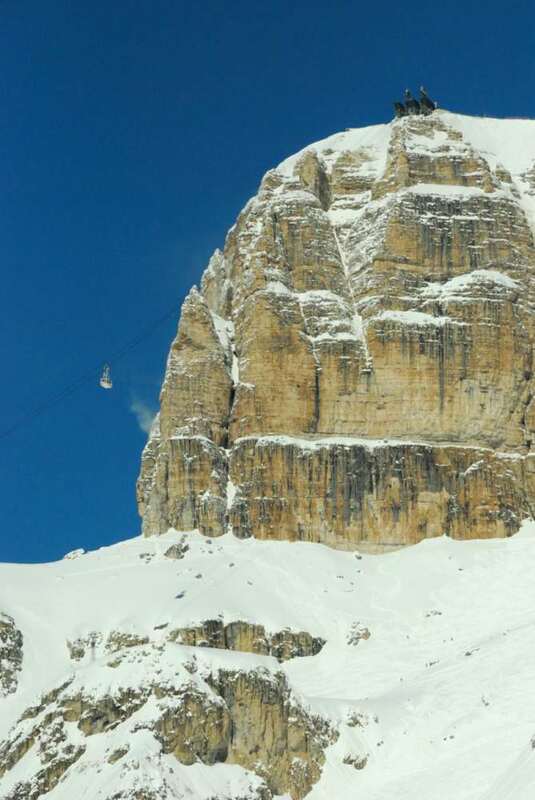 From Lupo Bianco the gondola goes directly to the ski center of Canazei (here you leave Val Gardena and you enter the second Valley of the tour). 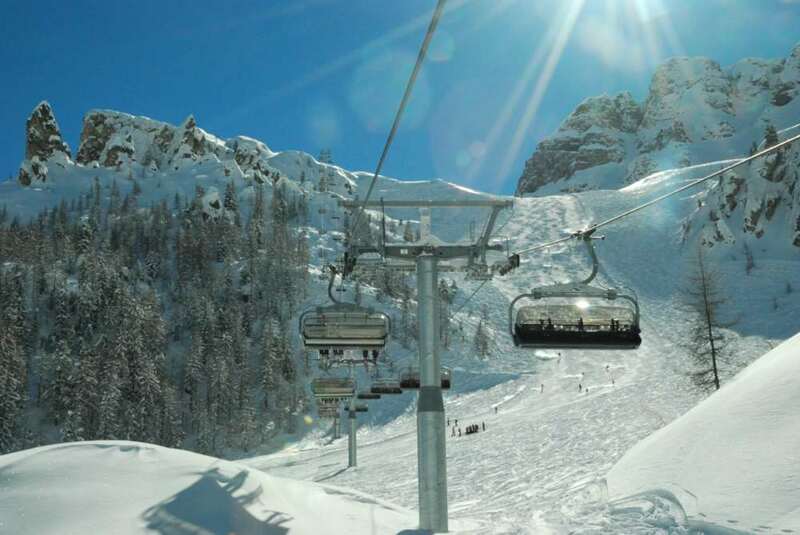 A chair lift will bring you to the Pass Pordoi, from which you leave Val di Fassa and enter the Arabba/Marmolada domain. The Sass Pordoi peak is visible to the north. 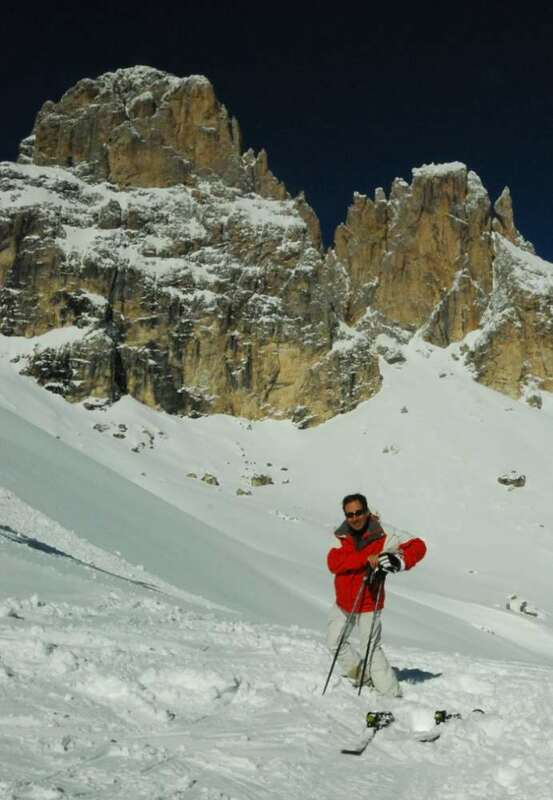 If you have enough time, try Arabba slopes, among the most challeging slopes of the area (look for Porta Vescovo). 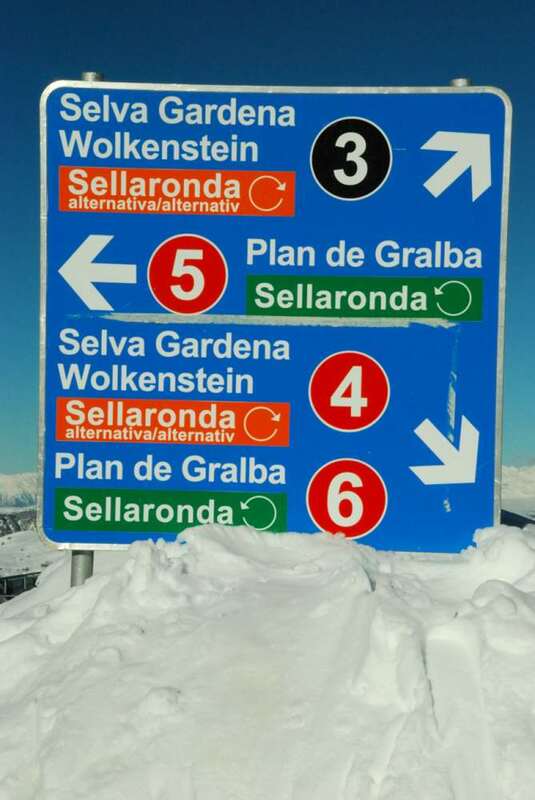 In order to continue the Sella Ronda loop take the lifts that go to Corvara and Colfosco located on the other side of the road. 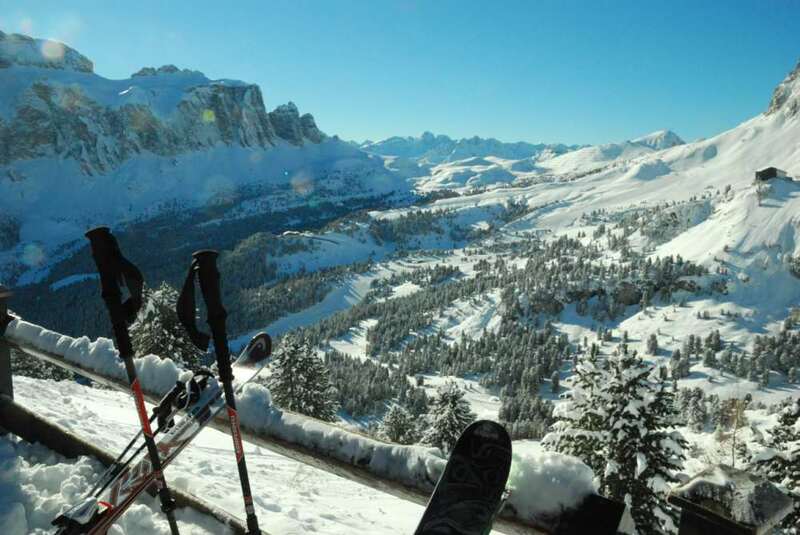 Look behind you to catch a stunning view of Arabba, Porta Vescovo and Marmolada. 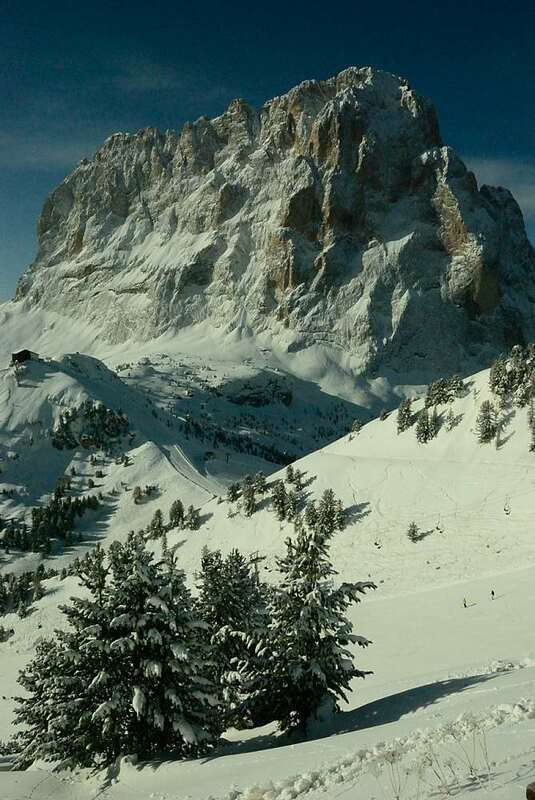 From here the tour continue to beautiful Corvara, overawed by the Sassongher peak. 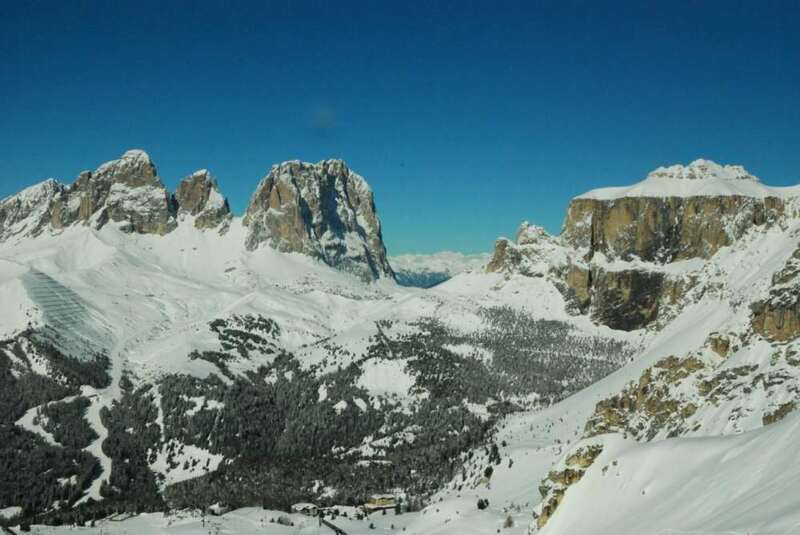 From Corvara a couple of lifts will take you to Colfosco (very beautifull slopes to explore) and to the Gardena Pass (the last pass of the tour). Here you will find the most enchanting landscapes of the area. 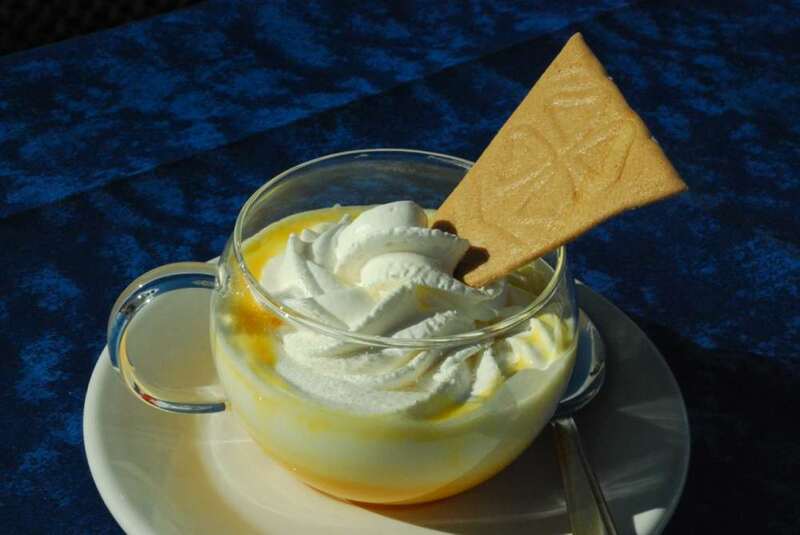 Once arrived at Passo Gardena, you will find the Sasso Lungo just in front of you. 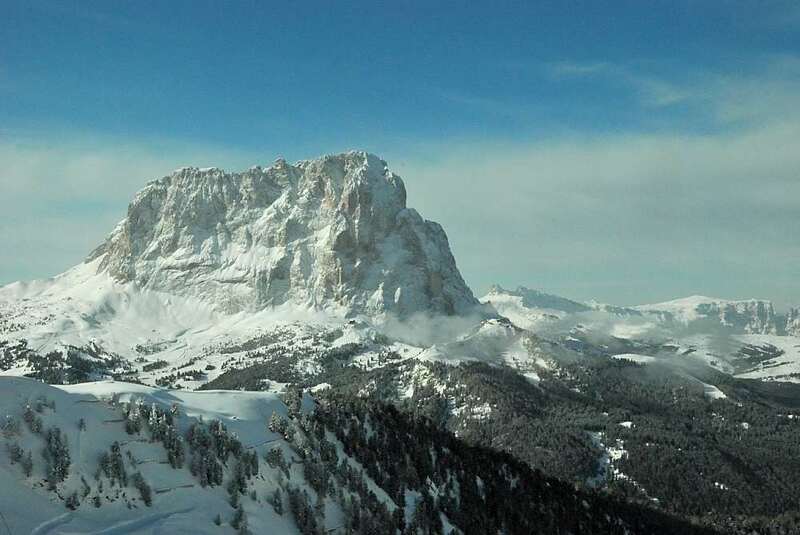 You are getting to the end of the tour: from there, a long slope will bring you back to Selva di Val Gardena, after a long, rewarding and unforgettable skiing day. 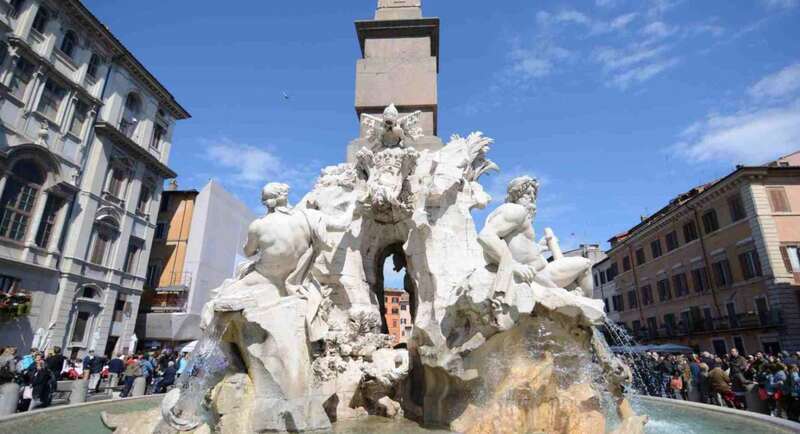 This itinerary can easily be accomplished in one day, even by kids (my son was six the first time he made it). Nevertheless, it is highly advisable to start out no later than 10:00 a.m. and to reach the last pass no later than 3:30 p.m. otherwise you will risk not being able to use the lifts to reach your final destination. Also consider that there may be queues during weekends, so keep some buffer. 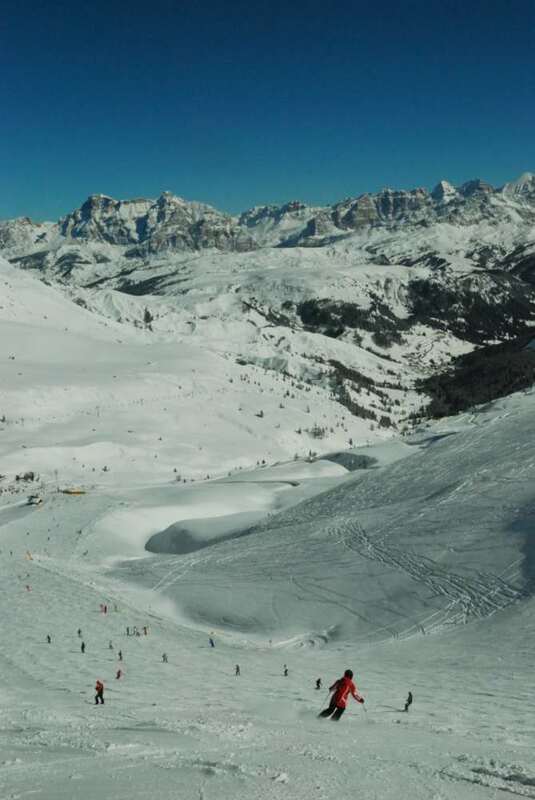 Take your time to enjoy the slopes, and to discover side areas (Colfosco, Arabba, Piz la Villa, …): don’t get trapped in a competition spirit. Rushing to close the loop in the minimum possible time is not necessarily the wisest approach.